At my request, The NH Arts Council is providing me with a link to the poet laureate page on their website in order that I may showcase poems by a number of New Hampshire Poets. The poets will be by my invitation only, but I plan to include both the famous and the less famous ....those who are seriously working at poetry craft from many areas of the state. A different poet and poem will be presented every 2 weeks. 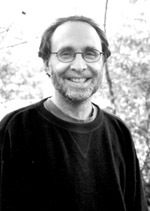 Jeff Friedman is the author of four collections of poetry: Black Threads (Carnegie Mellon University Press, 2007), Taking Down the Angel (Carnegie Mellon University Press, 2003), Scattering the Ashes (selected in the open competition for the Carnegie Mellon University Press Poetry Series, 1998) and The Record-Breaking Heat Wave (BkMk Press-University of Missouri-Kansas City, 1986). His poems and translations have appeared in many literary magazines, including American Poetry Review, Poetry, 5AM, Agni Online, and The New Republic. His poems have also appeared internationally in Israel, Canada and Sweden and have been featured on Poetry Daily. He has won two Fellowships from the New Hampshire State Arts Council, the Editor's Prize from The Missouri Review and the Milton Dorfman Poetry Prize. He has had residencies at the MacDowell Colony, Virginia Center for the Creative Arts the Vermont Studio Center and Yaddo. In 2003 he was the Distinguished Poet-In-Residence in the M.F.A. program at the University of Missouri-St. Louis. A core faculty member in the M.F.A. Program in Poetry Writing at New England College, he lives in West Lebanon with the painter Colleen Randall and their dog Bekka. I think the poem began when the poet Gerald Stern turned to me at breakfast one morning during a New England College M.F.A. residency and said, “But is it good for the Jews?" I immediately broke into laughter because this reminded me of my mother and father, aunts and uncles and friends, all of whom would ask this question repeatedly after watching almost any news report on TV. I grew up in the fifties and sixties, and the memory of the Holocaust greatly affected our way of life and our identities as Jewish Americans. I started writing the poem with the refrain, “Give me back.” The music drove the poem forward, connecting all the stories and images. Through the music, the world of the poem kept growing, taking in more stories, more history, more time and space. By the end of the poem, the speaker wants everything that has been lost back; it’s a memorial to the world of our fathers and mothers, a lost world that had its beauty as well as its atrocity. The poem is about love and loss, which is the real subject of most poems. as they waited for me to make a dash for the screen door. took him away in his checked pajamas, handcuffed. not to trim off too much fat from the corned beef. as the rabbis chanted to the brown muddy water. new Oldsmobile, no matter where they parked. waiting by the silent phone for a date to call. the spark of light at the beginning of our world.